Managing SAP systems is not an easy task. Are you struggling with the same issues as others in the field, or are your challenges unique? The average recovery time objective (RTO) for mission-critical applications is 3.0 hours vs service level agreements (SLAs) requiring 1.6 hours. Similarly, current recovery point objective (RPO) is 4.2 hours, but should ideally be 2.9 hours. Downtime cost of $5,600 per minute. $300,000 per hour - this is the cost of unplanned IT downtime costs as calculated by research powerhouse Gartner. Other studies and research in respective industries and markets put unplanned IT downtime over $7,900 per minute. However, these researches show that the cost of downtime can go beyond the bottom line. Only 2% of IT decision-makers report that they would not expect any non financial impact to their organization because of downtime. More than 6 out of 10 IT decision-makers reported that downtime can result in the loss of customer confidence (68%) and damage to their organizations’ brands (62%). This shows that downtime can have a clear and lasting impact to organizations that goes beyond the IT department or even the wider financial implications. Furthermore, around half of respondents (51%) report that downtime can result in the loss of employee confidence. These researches demonstrates how an unplanned IT downtime has a negative impact that is felt internally with potentially wider implications for morale and performance. 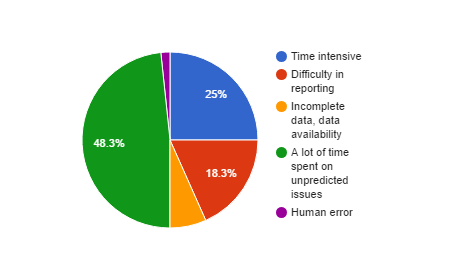 Almost a third (31%) also report that downtime might result in a diversion of resources from long-term and business critical projects, which again has wider implications for the long-term strategy of the organization. This can also have an impact upon their ability to save money, which illustrates once more that the twin IT department targets of minimizing downtime while reducing operational costs can be counterproductive. How do you combat unplanned downtime? Many IT departments in general and Admin or Basis team managing SAP systems are trying to minimize this risk. Companies often deploy a veritable IT army to not only ensure system uptime, but also maintain peak system-wide performance while enforcing company policies and guarding against potential internal and external security threats. As companies grow their operations and their IT landscapes, however, monitoring these tasks become increasingly challenging. When considering alternatives to native SAP monitoring solutions, CIOs must keep the goal of monitoring firmly in mind: choose the system that allows administrators to identify issues fast, to find the root cause of an outage and get the system back up to baseline performance as quickly as possible. This carries with it one overarching characteristic: ease of use, which is critical for solving small issues before they spiral into devastating problems. Many SAP monitoring solutions come with complex, and exotic features and functions. But when an unexpected system outage strikes, complexity becomes the enemy. Simple, intuitive monitoring solutions will help IT staff shorten the length of time a module is offline, ultimately saving the company precious time and money. In the heat of battle, simplicity is the shortest distance between problem and solution. When a module does go awry, it is important that the alerts produced by the system are clear and concise. SAP has many moving parts, each of which could be the root cause of an outage. Many systems use predefined message templates that give only a vague hint at the root cause of an error. While these boilerplate messages make life easier for the system vendor, it gives the administrator very few clues where to begin to solve problems. IT leaders should look for a package that minimizes installation and configuration time. Likewise, the software shouldn’t consume large amounts of staff bandwidth; the more work the software can perform, the less effort will be required of administrative teams. This also implies flexibility. Seldom will a monitoring solution be deployed in its default settings, so it should be easily configurable and adaptable in an environment of frequent business change and the unique business challenges. SAP will continue to evolve and release cutting edge functions, so any monitoring solutions must account for upcoming changes while maintaining support for current features. We would love to hear more from you about the challenges you are facing when managing your SAP system.